Haters Gonna Hate… Jon Jones, the Man, the Myth, the Legend! Let me start off by saying that I really like Jon Jones. Seriously, he is an amazing athlete and competitor. Physically and athletically, Jones is second to none. He has worked hard and nobody can deny that he has earned everything he has accomplished in MMA. Let’s take a closer look at where he is and how he got there. Jones is the current UFC Light Heavyweight Champion. Here is his journey to winning and retaining that title. Coming into the UFC, Jones beat Andre Gusmao by UD. Gusmao has since been cut from UFC and is possibly retired. He hasn’t fought since 2011. Then, Jones wins against Stephan Bonnar by UD. Bonnar went on to lose 2 straight and is now retired. 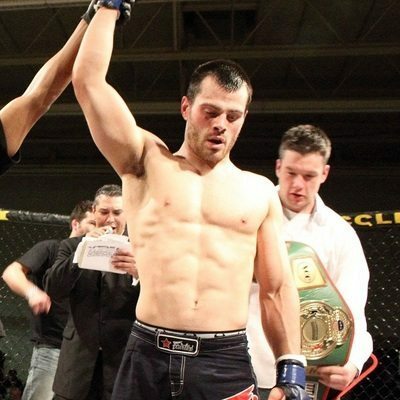 Next, Jones scores the W over Jake O’Brien who was cut from UFC, hasn’t fought in over a year and might be retired. Jon Jones’ record says he lost to Matt Hamill, but anyone who saw the fight counts it as a victory. However, Hamill didn’t accomplish anything after that and is now retired. Next up, Jones beats Brandon Vera, who I thought might be retired, but just recently got TKO’d by Ben Rothwell. Then, Jones put away Vladimir Matyushenko, who has since been cut from the UFC. Jones’ next victory was against Ryan Bader who although he has been ranked in the top 10, following his loss to Jones he suffered a loss to Tito Ortiz and recently got destroyed in the first round by Glover Teixeira. So, then Jones beats ranked, Mauricio Rua, who has gone 50/50 in last 10 fights! Next, Jones takes out Quinton Jackson, who hasn’t been successful in years, ends up cut from UFC, and is now fighting retiree, Tito Ortiz in a Bellator spectacle fight. After that, Jones steps up to fight a potentially dangerous, Lyoto Machida. But at the time, Machida was coming off 2 losses, 1 of which was to Quinton Jackson. His only victory, at the time, was over 49 year old, now retired Randy Couture! 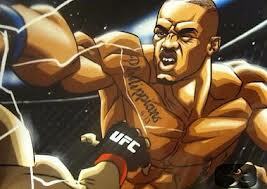 Next, Jones gets his big grudge match against Rashad Evans, which he wins by decision. Evans goes on to lose another decision loss to Nogueira. Most recently, Jones secures victories over two 185 pounders in Belfort and Sonnen. I have said all that, to say this. Jon Jones came into the UFC and has ran through his division in devastating fashion. He has demonstrated amazing ability along with an impressive, fresh, innovative style, but, he came into the division when it was much more “changing of the guard” than “murder’s row”. The timing has been great. Jones road has been paved with opponents on the down slope of their career, during a slump, or before they have reached their potential. Please hear me. This, of course, doesn’t make him any less of a Champion. A champion is a champion and nobody can take that away. He has done everything required and made it look easy most of the time. At this point, the UFC is scrambling to find Jones worthy opponents. Unfortunately, that is a two edged sword and exactly my point. In my opinion, Jones’ greatness is only half of the story and the lack of talent in the 205lb division is the other half, perhaps, the bigger half. That is why it is crazy for Jones to currently sit in the #1 pound for pound best fighter spot according to the UFC. Again, this is my opinion and everybody has got one of those. I would love to hear yours. Do you agree or disagree? Why or why not? What do your friends think? Comment below right here on KNUXX and pass this post along so we can all discuss!